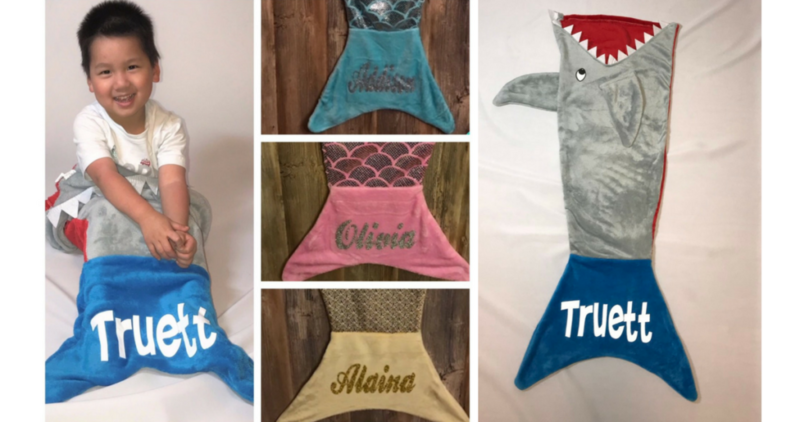 Through December 14th, Jane.com has fun personalized Shark and Mermaid Tail Blankets on sale for just $17.99 (reg. $34.99), plus get free shipping on your order! The mermaid tail blanket design comes in 7 colors, and the shark tail blanket comes in 1 set design/ color. The blankets each measure approximately 22 inches by 52 inches and are made of soft plush fabric with the tail fins enclosed so your kid’s feet can fit right in the tail fin to keep them warm. This is such a fun gift for a kid, especially with the personalized name option. Deal valid until 12/14. Shipping is free.